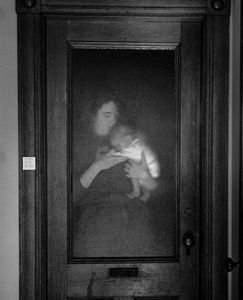 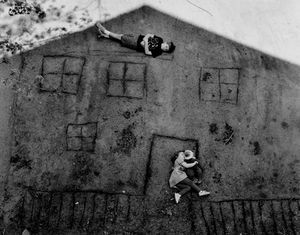 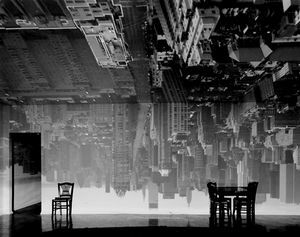 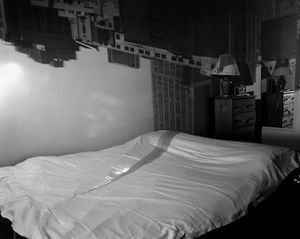 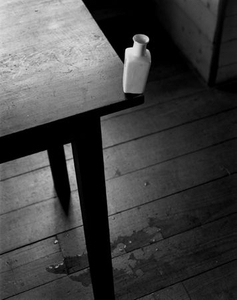 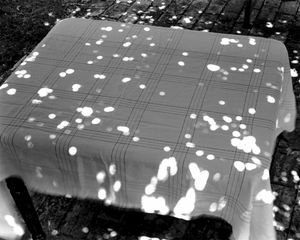 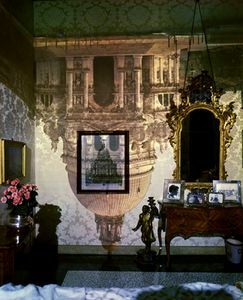 Abelardo Morell was born in Havana, Cuba in 1948. 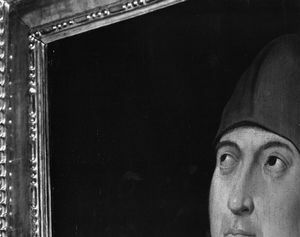 He immi­grated to the United States with his par­ents in 1962. 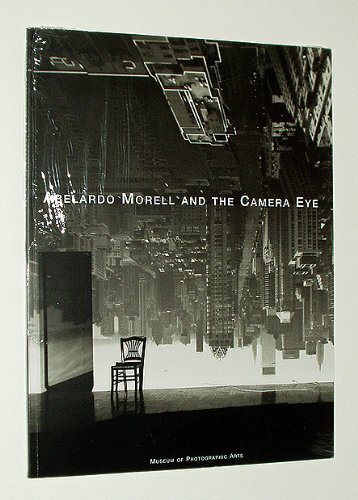 Morell received his under­grad­u­ate degree in 1977 from Bow­doin Col­lege and an MFA from The Yale Uni­ver­sity School of Art in 1981. 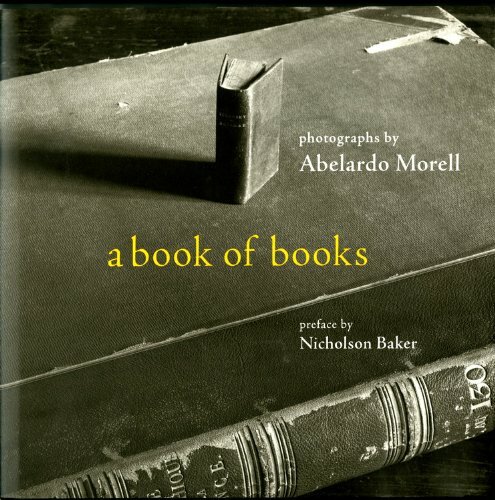 In 1997 he received an hon­orary degree from Bow­doin College. 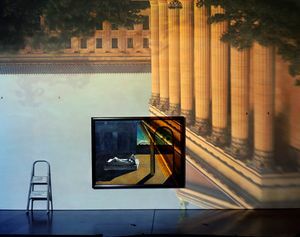 He has received a num­ber of awards and grants, which include a Cin­tas grant in 1992 a Guggen­heim fel­low­ship in 1994 a Rap­pa­port Prize in 2006 and an Alturas Foun­da­tion grant in 2009 to pho­to­graph the land­scape of West Texas. 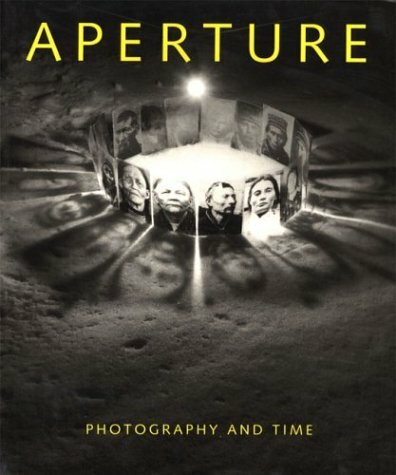 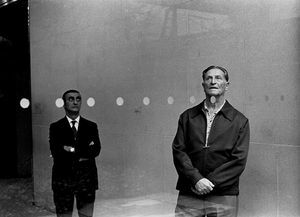 He was the recip­i­ent of the Inter­na­tional Cen­ter of Pho­tog­ra­phy 2011 Infin­ity award in Art. 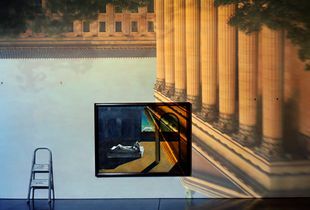 His work has been col­lected and shown in many gal­leries, insti­tu­tions and muse­ums, includ­ing the Museum of Mod­ern Art, The Whit­ney Museum of Amer­i­can Art, the Met­ro­pol­i­tan Art Museum in New York, The Chicago Art Insti­tute, The San Fran­cisco Museum of Mod­ern Art, The Hous­ton Museum of Art, The Boston Museum of Fine Art, The Vic­to­ria &amp; Albert Museum and over sev­enty other muse­ums in the United States and abroad. 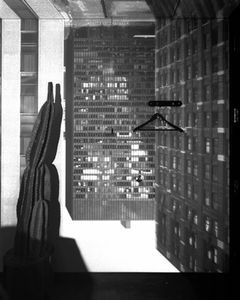 A ret­ro­spec­tive of his work orga­nized jointly by the Art Insti­tute of Chicago, The Getty and The High Museum in Atlanta will be on view start­ing in the sum­mer of 2013. 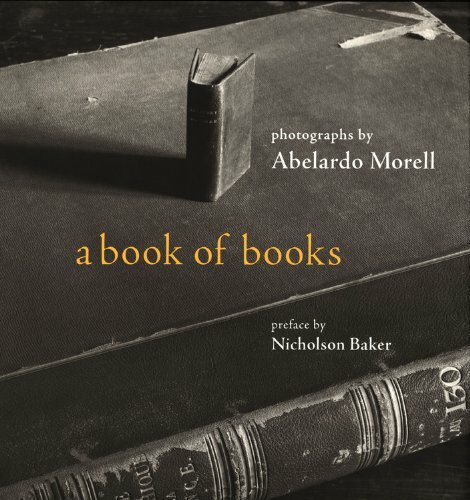 His pub­li­ca­tions include a pho­to­graphic illus­tra­tion of Alice’s Adven­tures in Won­der­land (1998) by Dut­ton Children’s Books, A Cam­era in a Room (1995) by Smith­son­ian Press, A Book of Books (2002) and Cam­era Obscura (2004) by Bulfinch Press and Abelardo Morell (2005), pub­lished by Phaidon Press. 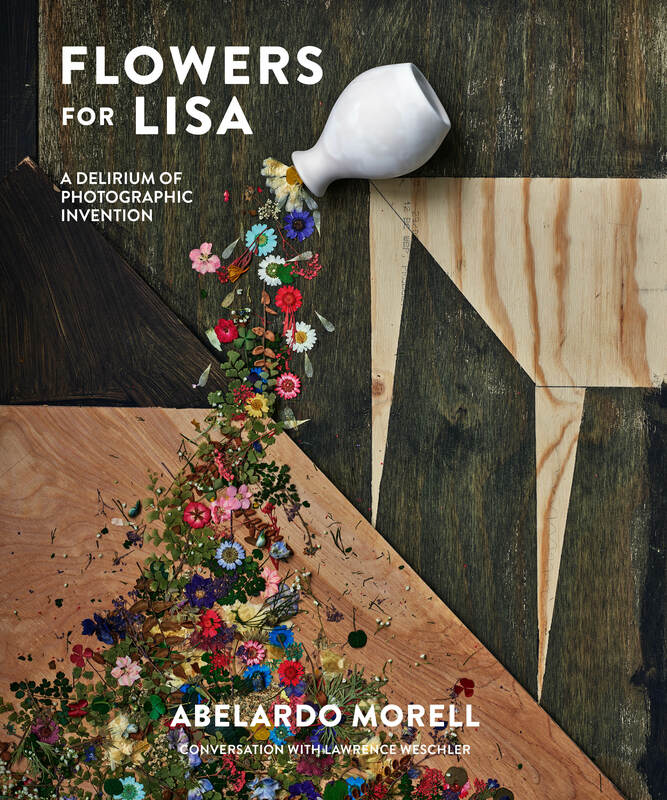 Recent pub­li­ca­tions include a lim­ited edi­tion book by The Museum of Mod­ern Art in New York of his Cliché Verre images with a text by Oliver Sacks. 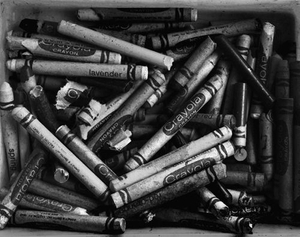 He lives with his wife, Lisa McE­laney, a film­maker, and his chil­dren Brady and Laura in Brook­line, Massachusetts. 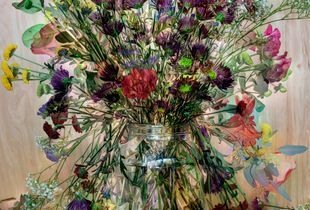 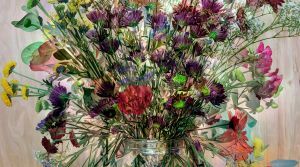 In his latest series, Abelardo Morell takes a traditional still life subject — a vase of flowers — and pushes and pulls it well beyond the typical boundaries of that genre, with endlessly delightful results. 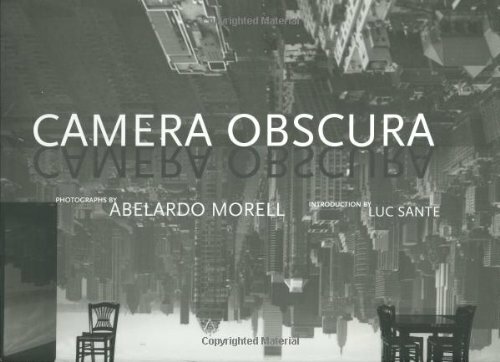 This amazing yet short video is pure inspiration for all photographers interested in exploring the endless fine art possibilities that the basics of light and images provide. 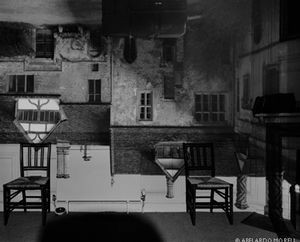 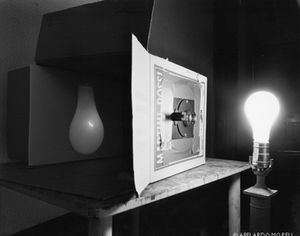 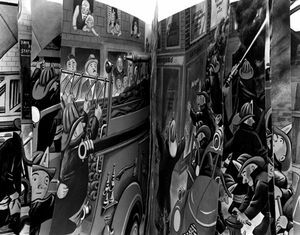 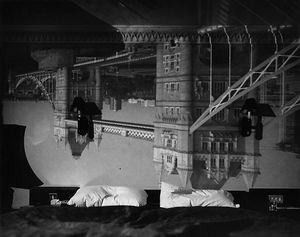 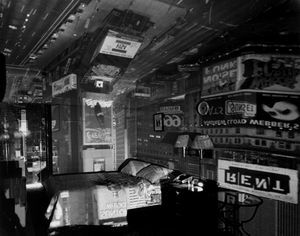 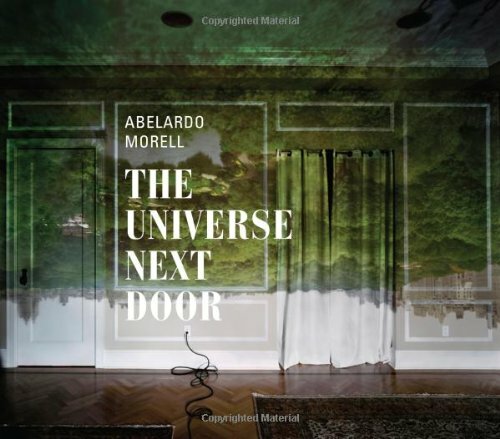 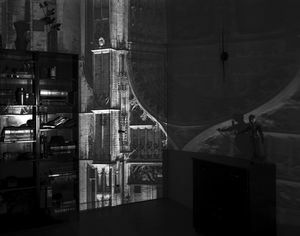 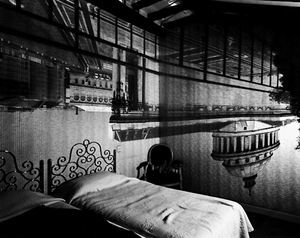 Cuban-born photographer Abelardo Morell had already taken the art world by storm with his black-and-white series of “rooms as camera obscura” imagery. 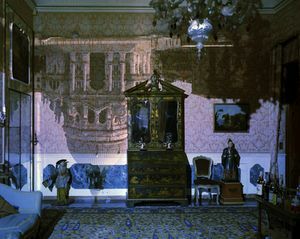 But recently, he put color film in his 8 x 10 view camera, and the results are even more dizzying. 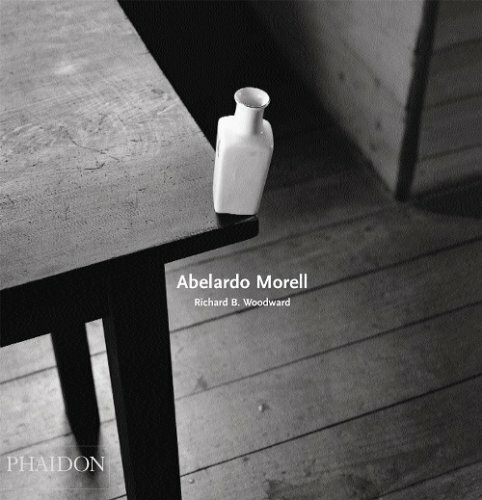 In an exclusive audio interview, you can hear Morell talk about the alchemy of optics, this new phase in his work, and more.